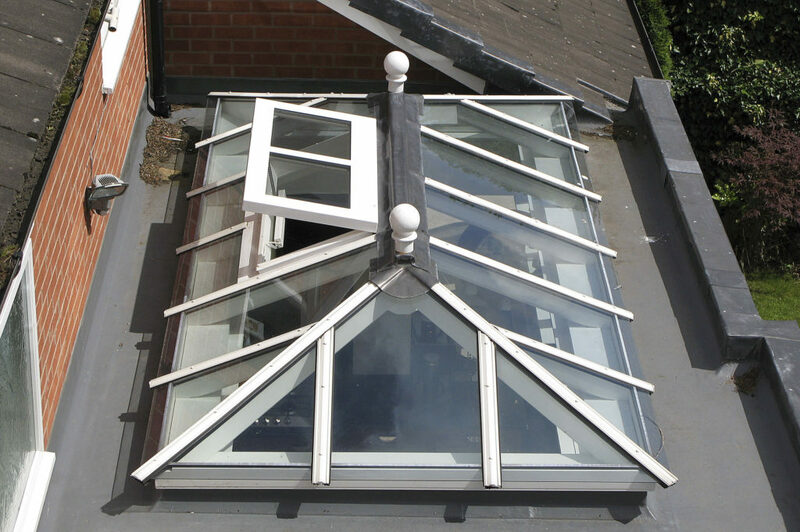 At prestige roof lanterns UK, we manufacture bespoke conservatory roof replacement kits and components. 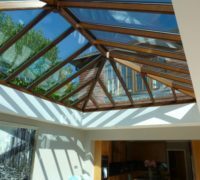 If your conservatory roof is leaking, suffering from weathering, damage or general dilapidation, we can provide a replacement. 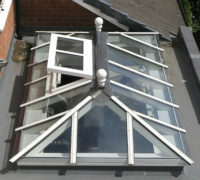 Please note we only provide roof replacement for wood conservatories. 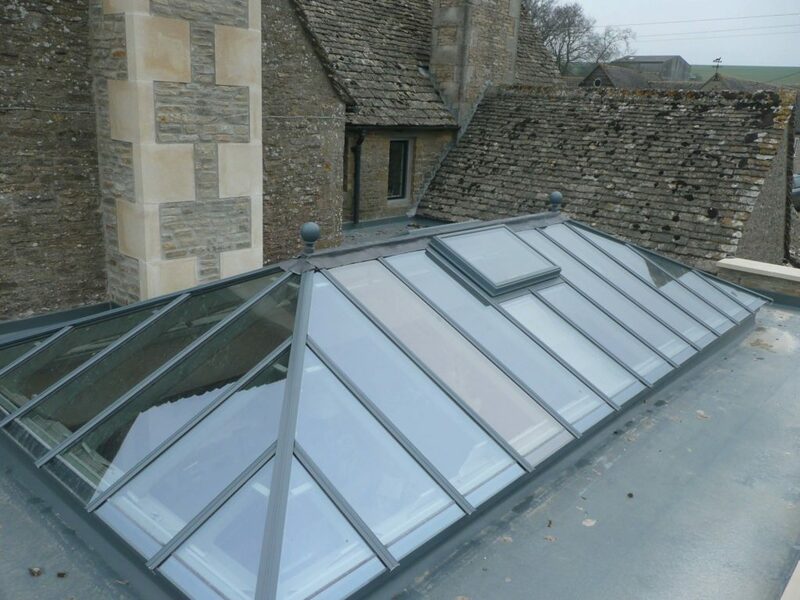 Want to get an idea of the quality of our orangery roof kits? see some images below, for a full range please visit our gallery. 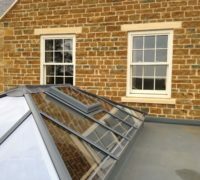 Our DIY orangery roof kits are easy to install and can be manufactured to fit your existing orangery as a direct replacement. 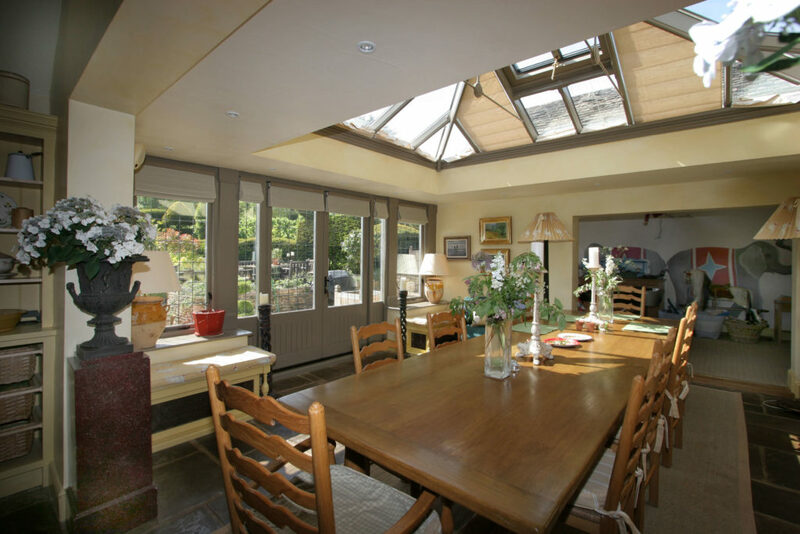 We can provide a completely bespoke orangery roof lantern to meet your exact specifications. 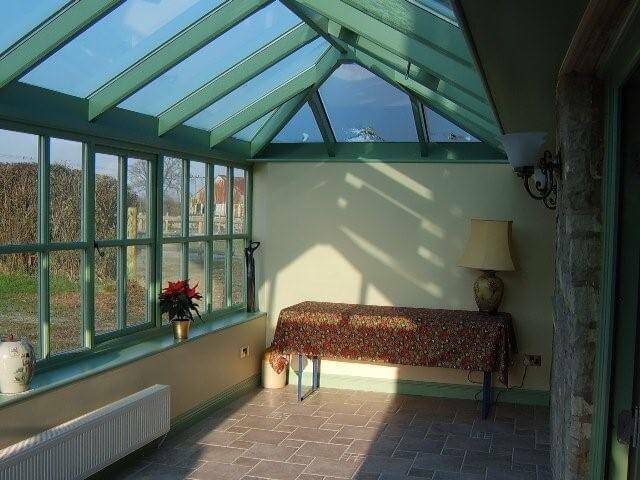 Our sister company manufactures complete Orangeries, follow the link below. Our replacement roofs start from just £1050. 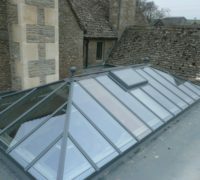 As replacement roofs are quite a bespoke product we prefer to quote per each project / specification. 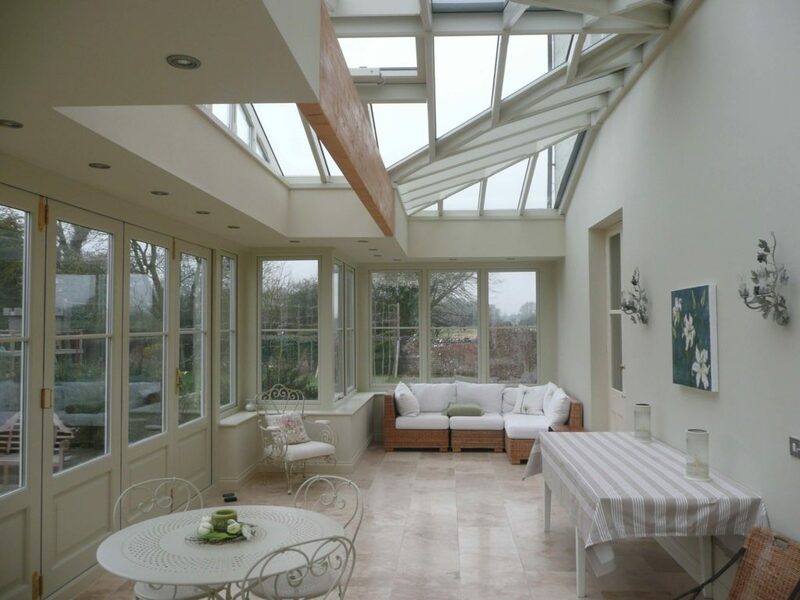 Our replacement roofs are bespoke to each project as conservatory structures can vary significantly. Our standard specifications are below. Below are a range of downloadable brochures. 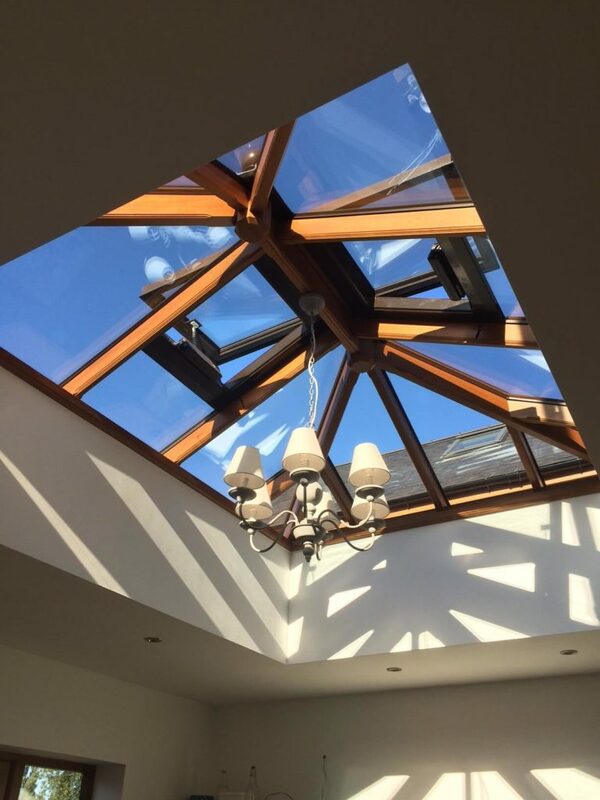 To talk to us about trade requirements / options for replacement conservatory roofs please call us..
All of our conservatory roofs come with a choice of colours or wood stains to match your roof lantern to any existing property structure. Simply call us on 0843 886 7949 or fill out the form to the right and a member of our team will call you back to discuss your requirements. 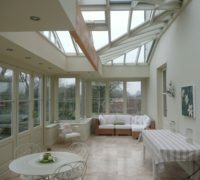 At Prestige, we manufacture bespoke roofing solutions for Conservatories. We only make roofs and DIY roof kits for wooden conservatories, sun rooms, orangeries and garden rooms. 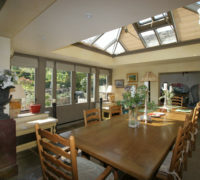 If you have an existing conservatory that requires roof repairs or a replacement roof we can help. 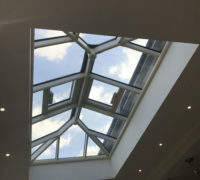 At our joinery, our panel of experts can help you every step of the way with your conservatory roof requirements from customising rafters to roof decoration (finials, paint finish etc.). 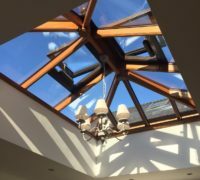 At the prestige joinery, our conservatory roofing experts can help you design a new roof, or, can manufacture a roof based on your provided drawings / CAD. We can help with keeping the roof within planning permission / building regulations. Our structural assessors can determine the best roofing solution for your conservatory based on size / shape and load bearing calculations. 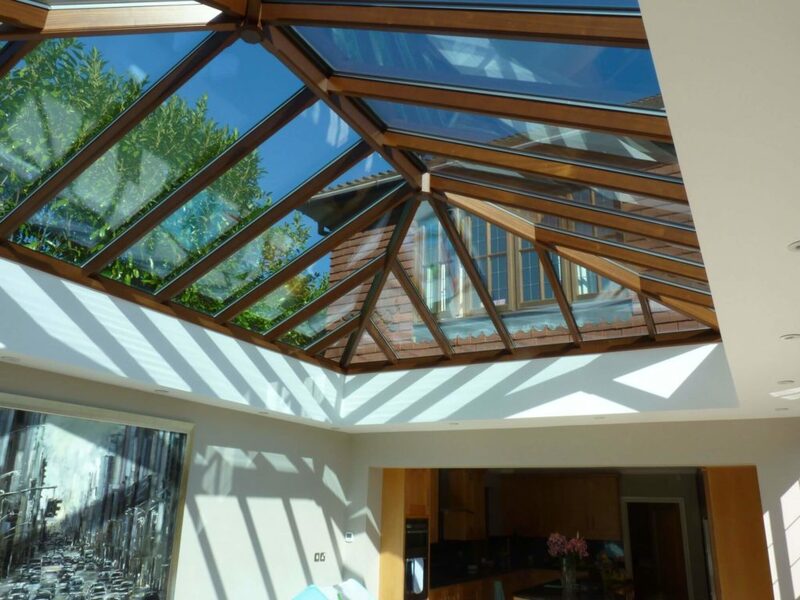 You can customise your conservatory roof with opening windows, finials and wood decoration, self-cleaning solar controlled glass and paint finish / wood stain. We use high quality wood with the right grain during the manufacturing process, finished in protective coatings that inhibit rot / damp and mould. When supplying a roofing solution, we take into consideration how the roof will perform with your existing structure. 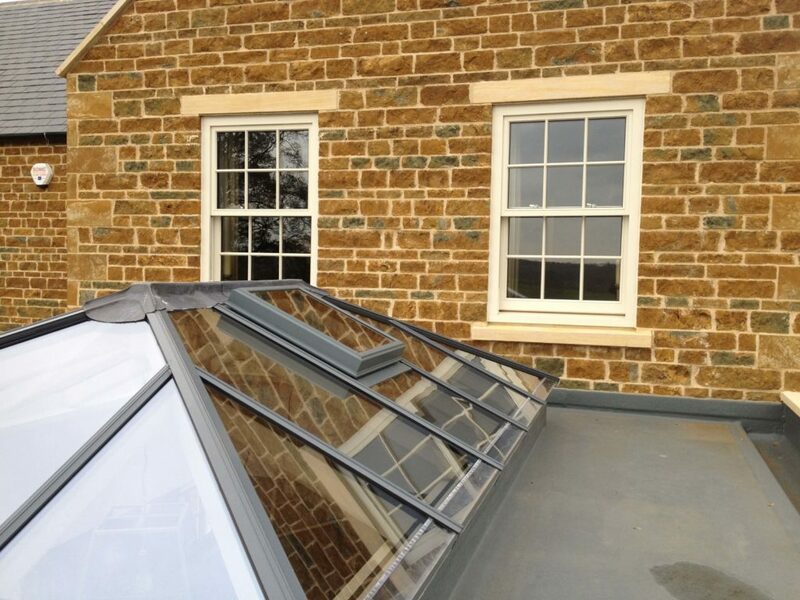 The kits we supply are precision engineered and use high quality components to give our roofs excellent thermal U values (1.2 U-Value through glass). 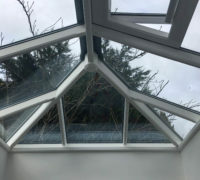 If your existing conservatory roof is leaking, damaged, suffers from rot/mould, or just looks tired, why not get in contact with us to see how we can help? 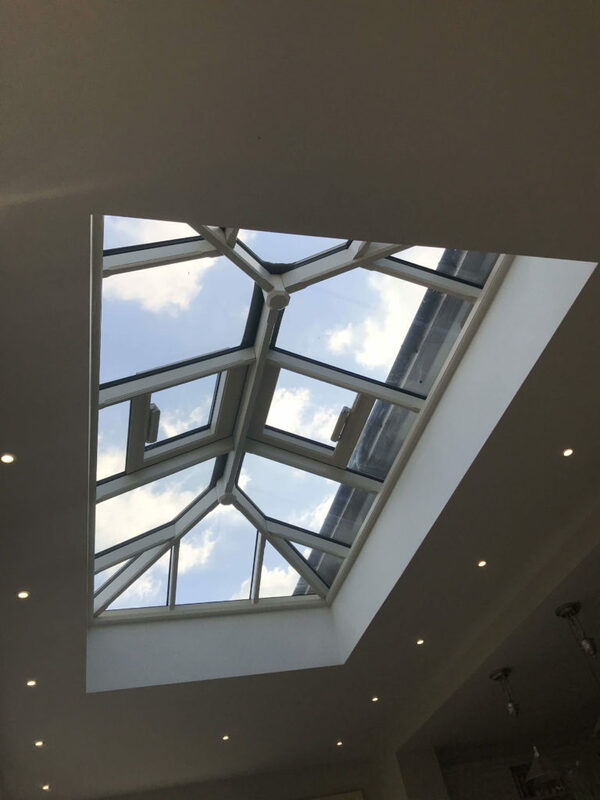 We can advise on roof replacements that will match the existing structure and provide you with a high quality, lasting roof solution for your conservatory. 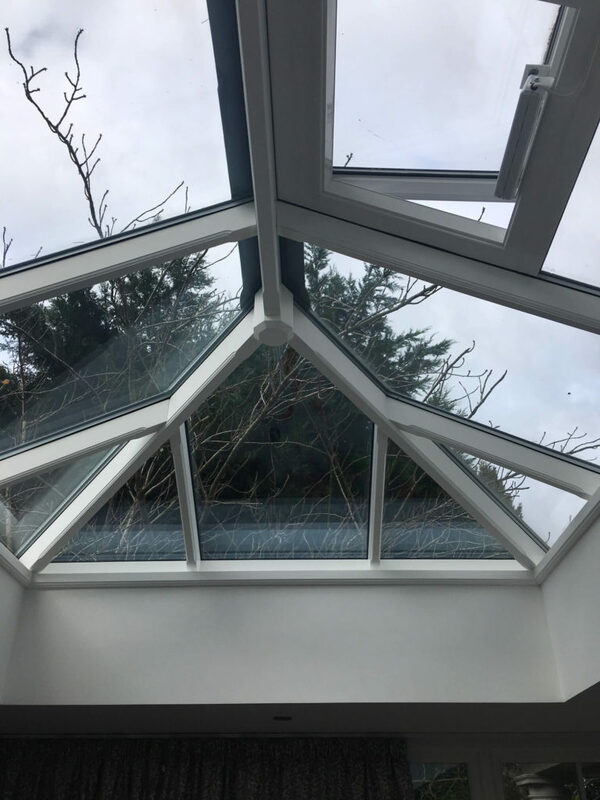 Unlike old style conservatory roofs which used cheaper, untreated wood, our roofs use premium quality timber / oak hardwood which is treated and sprayed with microporous paint, allowing the wood to breathe whilst preventing rot. 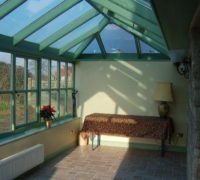 We’ll also match the glass / configuration to your existing conservatory structure to keep the whole conservatory looking uniform. If you would like a free quote on a conservatory roof kit or replacement conservatory roof then give us a call or fill out the “request a call back” form on the right and one of our experts will give you a call.